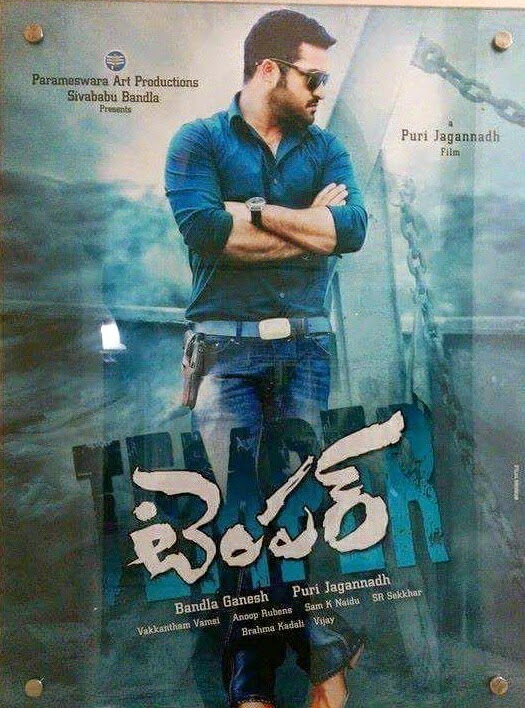 Young Tiger NTR's Upcoming sensational film TEMPER movie first Look posters has been released by the Movie Makers. This Movie is Supposed to release on 9th of January 2015 as Sankranthi Special, But due to Sudden death of Nandamuri Janaki Ram has caused the break the shooting schedule. And Now the New release date has been confirmed for Feb 5th. Kajal Agarwal is playing opposite to NTR in this film Directed by Puri Jagannath and Produced by Bandla Ganesh. Movie's Production work is Going On Now. Music composed by Anup Rubens will Soon Release on this January.